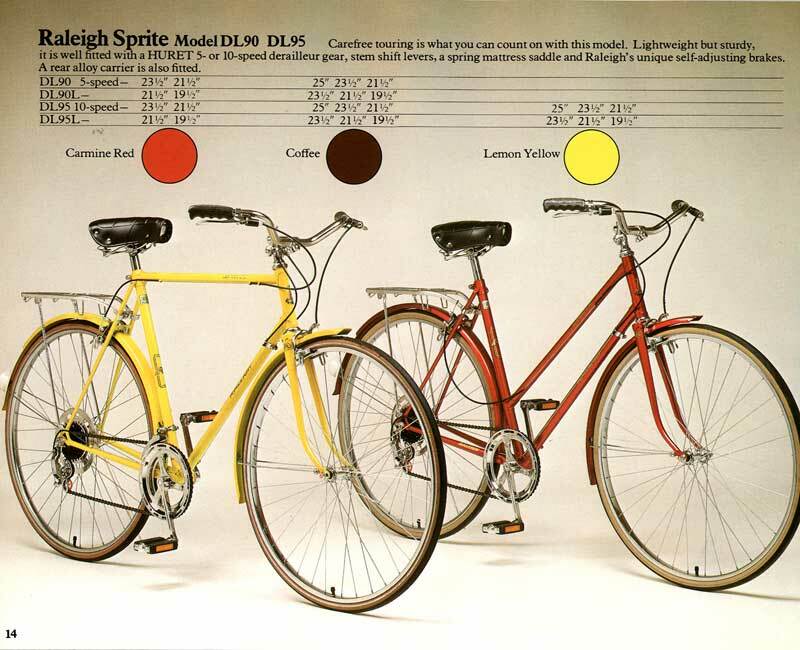 Raleigh recycled the "Sprite" model name several times over the decades, with rather different bikes. 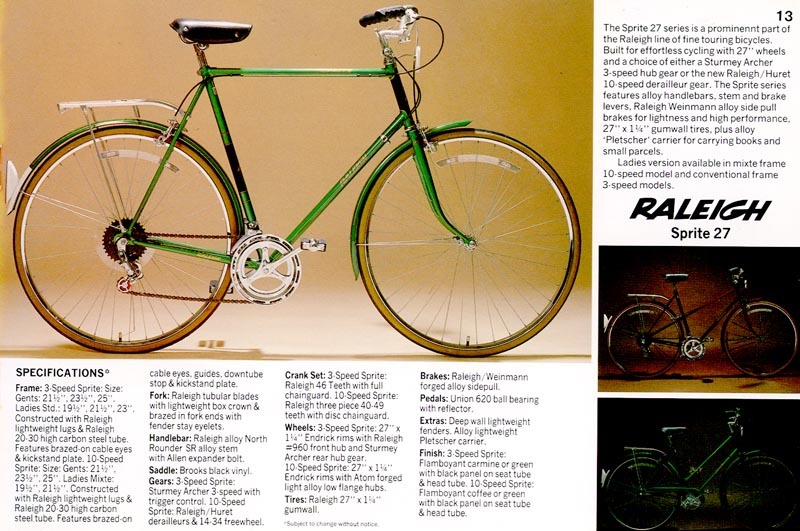 The early '60s version was a 10 speed with Benelux Mark VII gearing. It featured Dunlop "White Sprite" tyres, and it is not clear to me whether the tire name or the bicycle model came first. In the mid 1960s, the Sprite was completely transmogrified. 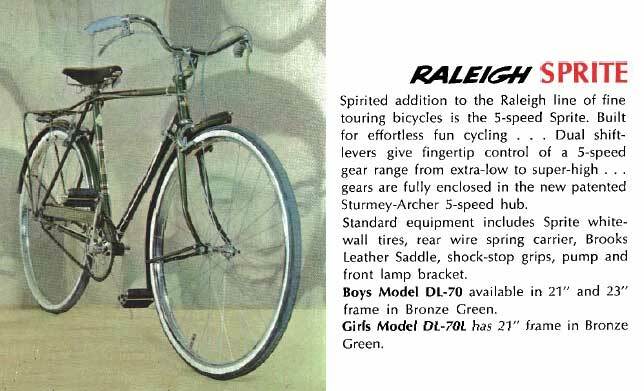 The 1967 version shown below is basically a Sports with a Sturmey-Archer S5 five-speed hub replacing the AW three-speed. Later versions of the Sprite went back to derailer gearing. These were basically modified Records. The upright "all-rounder" handlebars, and mattress saddle made these something of a precursor of the modern "hybrid."